life is one giant bargain. As if the S.F. Giants making the World Series weren't exciting enough, here's an offer for all you fans in the Bay Area. A Jamba Juice insider has confirmed that those who show up wearing S.F. Giants apparel will receive 20% off their order. This offer is limited to locations in the Bay Area, but I'm not sure how far that extends, so call ahead to confirm that your local Jamba Juice is participating. Target never disappoints with its limited-edition designer collaborations. The most recent is Mulberry, a British maker of exquisite, luxury bags. There's no chance of buying one online, aside from eBay, so I was surprised to see that some were still available in local stores. Here's the trick. Find the Mulberry for Target item you're interested in at Target.com, then click "Find it at a Target store." The results will tell you what stores in your local area carry your item. Racked NY discovered a full selection at the Brooklyn Target, and I've found plenty sprinkled throughout California. Call ahead to confirm that the store actually has the bag, and ask for it to be placed on hold. This Denim Satchel will definitely be mine after my lunch break today. When season's change, skin reacts with dryness and breakouts. Hit the restart button with a free mini facial at Origins stores through Sunday, October 31, 2010. The experience includes a personalized skincare consultation, gentle exfoliation, facial mask, and a personalized sample of your choice, all for free with no purchase necessary. To make your appointment, call 1-800-ORIGINS or visit an Origins store near you. Rather hit the pause button? Enter the Origins VitaZing Sweepstakes on Facebook for your chance to win a trip for two to Cabo San Lucas in Mexico. The package includes 2 roundtrip tickets, a 3-night stay at the Marquis Los Cabos beachfront resort, and 2 spa treatments. Just thinking about flu season makes my nose twitch, and it's just around the corner. Achoo! Show someone that you're thinking about them by sending a free pack of tissues from Kleenex.com. Or, send it to yourself. I confess, I liked the design so much, that's exactly what I did! Track the package online or visit the Chain of Sharing map to see where others are being sent. The offer ends on March 31, 2011 or while supplies last, and is valid for shipping to the U.S. from the U.S., and to Canada from Canada. As of today, over 460,000 have been given away, with no sign of how many are left. So, share it while you can, as this offer could be wiped out before you know it. The Macy's WOW Pass, has additional "wow" this weekend, in celebration of Macy's birthday. Visit Macys.com to print your WOW! Pass for use at a Macy's near you, October 27-30, 2010. Just enter your zip code, and the offer will appear to click and print. View the coupon for any exclusions or additional information. Brace yourselves, fashionistas. It's time for a sale that does not appear often. 7 For All Mankind presents its annual Friends and Family sale, October 28–November 1, with 40% off everything online and in stores. The offer also extends to outlet locations, with 30% off everything at 7 For All Mankind factory stores. You might even find a pair of jeans for less than $100. These Kimmie Straight Leg came close at $101.40, marked down from $169. But why spend so little when you can get free shipping with orders of $150 or more? As far as I know, this only happens once per year! To shop at 7forallmankind.com, use code 7FAMFF10 at checkout. Use the Store Locator to find a location near you. The next time you crave dessert, grab a stick of gum instead. Extra took this ol' diet trick a step further with Dessert Delights sugar-free gum, including flavors like Strawberry Cheesecake, Key Lime Pie, and Mint Chocolate Chip. So, now you can taste dessert without actually eating it. To try a free pack of Dessert Delights gum, like Extra on Facebook, then sign up and choose which flavor you prefer. The sample will arrive in 2 to 4 weeks, is limited to one per household, to U.S. residents only. The giveaway started on October 14 and ends when all 250,000 samples have been requested. Personally, I'm not sure how I feel about chocolate or cheese-flavored gum, but I'll find out soon. Strawberry Cheesecake gum, here I come! The treat? Visit Chipotle after 6pm on Halloween dressed as a "horrifying processed food product" and get a $2 burrito, bowl, salad or tacos. Then, take a photo of yourself wearing the costume and submit it to chipotle.com/boorito between October 31 and November 8, 2010 for a chance to win $2,500, $1,000, or a burrito party for 20 people. The trick? The meal was free last year! Sadly, the days of the free "Boorito" are gone, but I guess we'll take what we can get. Boo. However, up to $1 million of the proceeds will be donated to Jamie Oliver's Food Revolution, a campaign for healthy eating in America. Miss Bargainista will stop pouting now. Here's a sample to keep on standby for your next deodorant outage: Dove Go Fresh Cool Essentials deodorant from Costco. With a refreshing scent of cucumber and green tea, protection is said to last 24 hours, staying on your skin and not on your clothes. The sample will arrive within 4 to 6 weeks and is not limited to Costco members. If you don't have a membership, just leave the "Costco Member ID" field blank. UPDATE: This sample is no longer available. Trick or treat! Who needs candy when you can have 25% off lunch or dinner? P.F. Chang's is offering just that to customers who order their meal online for pickup this Sunday, October 31. Just visit pfchangs.com/orderonline to choose your meal, use code TREAT for the discount, and submit your order. Then, pick up your meal at the time and location you select. The offer is only valid on October 31, 2010 for orders placed online with the above code. OK, maybe I'll have some candy too. I grew up on 50/50 bars and Orange Julius drinks — delicious, refreshing orange mixed with rich cream has to be one of the best pairings that exist. Surprisingly, other fast food chains never caught on after all these years…until now. Taco Bell is offering a coupon to try their new Orange 'N Cream Swirl Frutista Freeze, valid through November 25, 2010, or after 500,000 have been given away. If the offer is no longer available, it will be clearly marked on the coupon. I say, print the coupon while you can and save it for a later date. Although, I have a feeling I'll be using mine sooner than later. Get a free sample from Walmart.com after completion of a brief survey. Your answers will help determine if you need Crest Pro-Health, which helps fight Gingivitis. No, you won’t be punished if you have healthy gums. In that case, you’ll receive a free sample of Crest with Scope Outlast instead. Fight flakes with this free sample from Walmart.com. Protect your skin from the sun and help smooth the appearance of wrinkles with this free sample from Walmart.com. All Walmart samples are available for a limited time and arrive within 4 weeks. You'd think if I received an e-mail with the subject "Don't Miss This Hot Coupon" that I wouldn't miss it. Well, I did, but it's not too late! Last Call by Neiman Marcus is offering a coupon for 40% off one regular priced item in stores through Monday, October 25. At the same time, their October Sale is going on, with 25% off everything for women, both in stores and online. The sale ends Monday in stores, or save online through 8am CT on Tuesday at LastCall.com. The discount will be automatically applied at checkout, and (unfortunately) it cannot be combined with the 40% of coupon. For free shipping, use code FSLAUNCH at checkout. Use the Store Locator to find a store near you. Even if summer is over, I'm digging this Plenty by Tracy Reese Pocket Frock Dress, valued at $289 with a Last Call price of $145, marked down to $108.75 with free shipping. Dare I? The season is changing along with the weather, decreasing the chances of keeping hair under control. 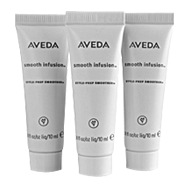 Aveda challenges that with its Smooth Infusion line, claimed to tame frizz and defend against humidity. Through December 31, 2010, receive a free 3-piece sample of Smooth Infusion shampoo, conditioner, and Prep-Style Smoother, by redeeming the coupon at a participating Aveda location, with no purchase necessary. Or, add it to your online order of $20 or more with code 11SHAPE at checkout. That's not it. Join Aveda's Birthday Program and get a free, full-size product on your birthday, valued at up to $24. That's still not it. Refer your friends to join the birthday program and once five of them join, you'll receive a free travel-sized Aveda Hand Relief. Referrals can be made by e-mail, Facebook, or by linking in your blog. Playlists, like wardrobes, often need makeovers, and $1 songs can add up fast. Thanks to Spin Magazine and Urban Outfitters, we won't have to break any laws for new tunes. Both have released playlists this week that are completely free to download. Spin Magazine offers playlists coinciding with each issue, and is only available on iTunes for one month. Urban Outfitters releases its LSTN series every few months, and the most recent, LSTN #12, is available for download through the end of February. This, of course, means that iTunes needs to be installed, whether it's a PC or Mac. Visit spin.com/itunes and click the "Get it free on iTunes" button. iTunes will open and ask for your password to download the playlist. 1. Doug Paisley "No One But You"
2. Gold Panda "Snow & Taxis"
3. How to Dress Well "Decisions"
4. Kylesa "Don't Look Back"
5. Old 97's "The Grand Theatre"
6. Sharon Van Etten "Love More"
10. The Concretes "The Concretes"
11. Good Evening "Only Existing Footage"
12. Nortec Collective Presents Bostich + Fussible "I Count the Ways"
15. Working for a Nuclear Free City "Alphaville"
Visit lstn.urbanoutfitters.com/12 then click the "Download on iTunes" button. iTunes will open and ask for your password to download the playlist. 1. Dirty Projectors "No Intention"
2. Avey Tare "Lucky 1"
3. Blonde Redhead "Not Getting There"
4. How to Dress Well (featuring Yuksel Arslan) "Decisions"
7. The Walkmen "Angela Surf City"
8. Sun Airway "Oh Naoko"
9. No Age "Fever Dreaming"
11. James Vincent McMorrow "If I Had a Boat"
14. Suuns "Up Past the Nursery"
15. The Tallest Man on Earth "Like the Wheel"
17. Royal Baths "Nikki Don't"
18. Wolf People "Tiny Circle"
20. Crystal Stilts "Shake the Shackles"
21. Crocodiles "Hearts of Love"
22. Sharon Van Etten "You Didn't Really Do That"
23. Bear in Heaven "Lovesick Teenagers"
It's finally starting to feel like fall, making it the ideal time to curl up with a good book. Grab a new one this weekend with a coupon for 40% off one item at Borders or Waldenbooks, valid October 22–25, 2010. There are plenty of exclusions, of course (newspapers, magazines, comics, eBooks, audiobook downloads, music downloads, vinyl LPs, tax software, video games, etc.). But you're definitely safe with a good, old-fashioned book. To receive the discount, you must be a member of Borders Rewards. Sign up online or in stores when using the coupon. The offer is valid at Borders, Borders Express, and Waldenbooks, but not at Borders.com. Now sit back, relax, and enjoy your reward. It’s not just casual day at work, it’s also Genes Day. No, not the skinny kind, it’s an event going on at Lancôme counters nationwide. For every bottle Génifique Youth Activating Concentrate sold today, October 22, Lancôme will give $7 to St. Jude’s Children’s Hospital. Plus (here comes the freebie part), visitors can receive a free 7-day sample when visiting any Lancôme counter. Chained to your desk like me? You can still order your free sample online, with no purchase necessary. Did I mention this sample is worth $36? Generous workaholics can shop online at Lancome.com. I know a girl who dated a guy, who woke up to an empty bed after their first sleepover. No note on the pillow, but she did find him sleeping on the couch, claiming that she snored all night. What? Snored? She had never heard such a thing in her life. Anyone who's followed my blog for long knows that I'm slightly addicted to One Day Wonder sales at Old Navy. A featured item is sold for $1 or more, and every color imaginable is placed in bins in the middle of each store. From there it's a free for all, kept under control by a five item limit. 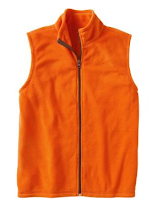 The latest One Day Wonder sale features Performance Fleece vests for men, women, and children for $5 each on Saturday, October 23. Wait. Five dollars? Fleece? Vests? Do any of those sound appealing to me? Not really. It might be different if I had an outdoorsy boyfriend or had a snowboarding trip planned soon. What do you think? Deal or no deal? Need a break from all that costume hunting? Instead, revamp your space with two special offers at Pier 1 and Cost Plus World Market. The deal happens to be the same: $10 off your purchase of $30 or more. Coincident or not, it's a darn good deal. To print the coupon for Pier 1, visit www.pier1.com/tv, where there's also a coupon for a free reusable tote bag, valid through November 7. To print the coupon for Cost Plus World Market, join the Rewards club, then log in and print the coupon, valid through October 31. Halloween is almost a week away and if you don't shop soon, panic may strike. And nobody wants that to happen. So, if you need an easy (and adorable) way out, consider the costumes on sale at Disney.com, particularly of the kid variety. There aren't many options for grown up kids, unless you want to be Alice in Wonderland, the Queen of Hearts, Minnie Mouse, Mickey Mouse or the Mad Hatter. But if so, then hey, this is your spot! I'd do just about anything to squeeze myself into this Nemo costume for only $13.99, marked down from $29.50. 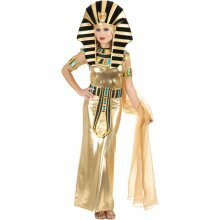 So, hurry and order your costume! You must order tonight to receive it by Halloween. 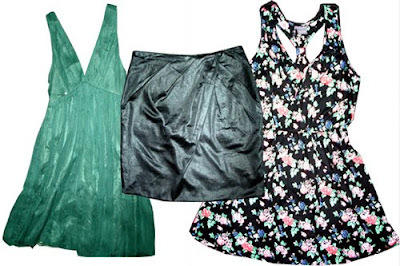 For free shipping, enter code DRESSUP at checkout. Some deals don't feel like deals when they have so many restrictions. Such is the case with the Friends & Family sale going on at Saks Fifth Avenue right now, where shoppers can receive an extra 20% off their purchase, but only when they spend $200 or more. To shop online, use code FRIEND7 at saks.com through Sunday, October 24. For free shipping on your purchase of $200 or more with code SFASHIP. To save in stores, print the coupon for use October 21–24. Well, I double dare you. UPDATE: It's Monday, October 25 and guess what the free gift is. A coupon for $25 off online orders of $75 or more. Are you kidding me? A gift is supposed to be free! Still want the dang code? OK fine, it's DAWNOFTHEDEAL and the offer is valid October 25-29, 2010. Ever start the laundry and realize you have no suds, then waste the next hour with an upside down bottle for a few measly drops? Here's your solution: A free sample of Wisk with Stain Spectrum Technology from Target. According to Wisk, the detergent is a "unique formula of enzymes and cleaning agents" targeting a "full range of stains on a molecular level." Umm, OK. I'll take it. Visit the samples section of target.com to sign up for your free sample, while it lasts. The backup for your next laundry emergency will arrive in 4 to 6 weeks. 5-Cent Wine Sale at BevMo! Who needs Two Buck Chuck when you can grab a bottle of vino for five cents? OK, the first bottle is full price and the second is five cents, but it's still a darn good deal. Search Bevmo.com and find over 200 selections to choose from, with an array of varietals, priced at $7.99 to $39.99 for the first bottle. Then, receive the second bottle for only 5 cents more. Join Club BevMo! for additional savings. Purchase online, schedule pickup at a local store, or show up and shop. Two bottles of the same wine must be purchased to receive the discount. The sale ends on Monday, November 8, but don't worry, it will be back. J.Crew-aholics now have another selection to choose from, J.Crew Factory. J.Crew has launched an online version of the outlet store, with merchandise made exclusively for Factory, which means they're not available anywhere else. The catch? So far, the store has only been open on weekends, including this weekend: Friday at 12am through Sunday at midnight. The prices aren't that much better than J.Crew, so I'm holding out for a sitewide sale. Although you can find some deals and markdowns if you dig, like this Waterfall Necklace for $24.50, marked down from $34.50. I am curious about the difference in quality, if any. Please report back if you make a purchase! Check back for more products as they become released. Thanks to Andrea of Saving Everyday for posting this offer! It's not often that my heart skips a beat over an e-mail. That is, unless the words "Neiman Marcus" and "sale" are mentioned in the same paragraph. Last Call by Neiman Marcus unveiled an online version of the outlet store via e-mail today: LastCall.com. And guess what, they're having a Columbus Day sale! Shop online October 5-12 and receive an additional 30% off your entire purchase. The discount will be applied automatically at checkout. Then, use code FSLAUNCH for free shipping. For those who prefer to get up-close and personal, the same discount applies in stores October 6-12. I immediately decided on these Seychelles Two-Tone Riding Boots, originally $195, marked down to $139, then $97.30 after the additional discount. Unfortunately, my size is no longer available. One of you must be a size 6, right? Walgreens has announced a reduction of 25% off all costumes, accessories, and decór purchased online through October 9. Use code HALLOWEEN25 at Walgreens.com to receive the discount. If you spend over $25 (very likely), you can ship your alter ego for free with code BOO25. Mondays are a big headache, but Tuesdays can be even worse. Be prepared for the early-week blues with a free bottle of Advil hidden in your desk. Be one of the first 500,000 people to sign up at takeactiontakeadvil.com and receive a coupon for Advil Tablets (24 count) or LIQUI-GELS (20 count). The coupon will be sent by mail and should arrive within three weeks. Hurry! 500,000 goes faster than you'd think. I'm a sucker for second-hand and have been raking in the deals with some adorable finds lately. Whether the recession is increasing sales of high-end used clothing, or minds are just plain indecisive, the trend is working out just fine for me. I recently visited LunaBlu, a used clothing store in Monterey, California. Tucked on a downtown side street, contemporary treasures can be found with some mighty reasonable prices. 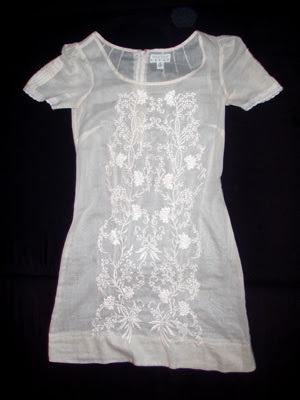 I found a green Zara dress for $25, a Kimchi & Blue embroidered dress for $25 (pictured below), and an Odille black wrap skirt for $18. I soon discovered , thanks to Google, that Kimchi & Blue is carried at Anthropologie and Odille is sold at Urban Outfitters. Then, there was this Fire Los Angeles dress with a rose pattern that I couldn't pass up for $14.40. On previous visits, I've discovered items by J. Crew and BCBG for only $15 to $25 a piece. Numerous other thrift shops are stocking up on goodies just like these. The key is to be patient and willing to dig. Sometimes it takes multiple visits to find that special something, and other times it's impossible to narrow the pile down. To feel extra good about your purchase, visit thrift stores that are donation-based, such as Goodwill, the Salvation Army, or local non-profit boutiques. Meanwhile, if you find yourself in Monterey, be sure to visit LunaBlu. LunaBlu, 176 Bonifacio Place, Monterey, California, (831) 641-0616. I'm a huge fan of designer collaborations with affordable retailers, and occasionally one will slip right under my nose. Last month, I had the pleasure of attending the I ♥ Ronson event at JC Penney during Fashion's Night Out in New York City. Champagne flowed alongside mini cupcakes, while sister Samantha Ronson DJed, and Charlotte got bombarded by the media. This was the first time I had heard of Charlotte Ronson's JC Penney line (shame on me) and between that and the Sephora counter inside, a Penney's trip is suddenly higher on my priority list. The line makes Ronson's sophisticated grunge much more accessible to the public, delighting bargainistas and fashionistas like myself. If you like free lunch and you're in California, keep reading. Receive a coupon for a free sandwich at Erik's Delicafe when you join Erik's E-mail Club. Choose from over 10 sandwiches on the "Sandwiches With Character" menu, made to order right in front of you. The coupon will expire 2 weeks after receiving it. Don't download it until you're ready to print, because you only get one chance. Test your printer with another document ahead of time or make a pdf, just in case. Word to the wise: Try the Pilgrim's Progress, with turkey breast and avocado on 9-grain wheat bread, red onions, tomatoes, and sprouts. It's fresh and delicious, and it happens to be my favorite—sans the onions. Sign up for Erik's E-mail Club, print your coupon, and find an Erik's Delicafe near you. UPDATE: As it turns out, this coupon is a Buy 1 Get 1 Free offer. Of course, I didn't figure that out until I finally printed my coupon. It's listed everwhere else as free! Oh well, hopefully they'll get their promotion verbage better next time. October is here, which makes December right around the corner. Holiday-themed products are popping up left and right, with some freebie action at Bath & Body Works this weekend. Receive a free 2 oz. sample of Secret Wonderland body lotion on October 1-3, 2010,with no purchase necessary. The offer was offered to Facebook fans, but you don't have to "Like" Bath & Body Works to win. Just use code FBF103231 online or print the coupon and bring it to a store near you. As easy as online ordering sounds, you will have to pay for shipping, which kind of defeats the purpose of free! I'm a single girl in an expensive world and my life is one giant bargain.